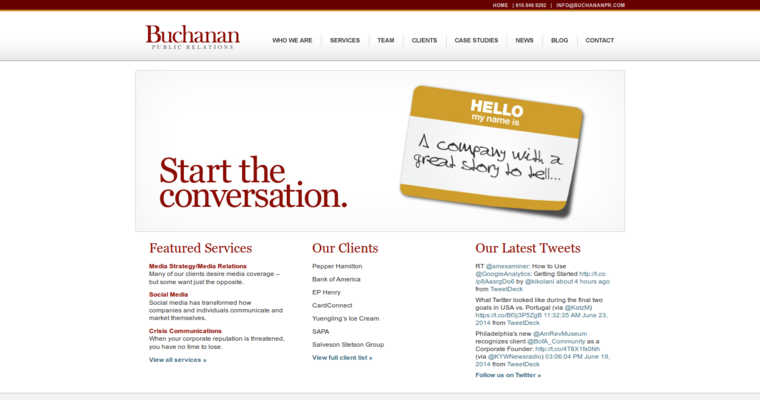 Based in Philadelphia, Buchanan Public Relations LLC is a full-service public relations agency with global reach. Recognized as one of the nation’s top independent public relations firms, Buchanan PR specializes in the development of effective media relations, crisis communications and social media strategies. Buchanan PR provides public relations services for regional businesses, closely held ventures, nonprofit organizations and global corporations. Public Relations Strategists Buchanan PR listens carefully to the needs of its clientele to identify pressing problems and effective solutions. Every communications plan identifies the strategic business goals and operational challenges of an organization. Buchanan Public Relations employs experienced strategists and communications specialists to evaluate and strengthen the brand of every client. 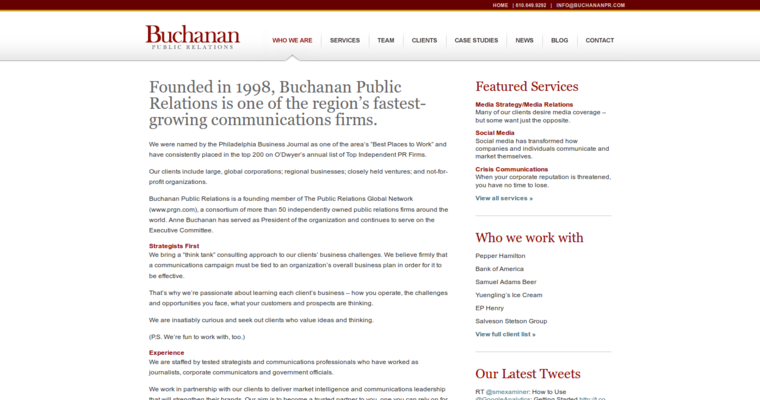 Buchanan PR endeavors to become a trusted partner of every company it serves. They offer vast experience consulting with companies that require assistance with media intelligence, product launches and the establishment of new media contacts. 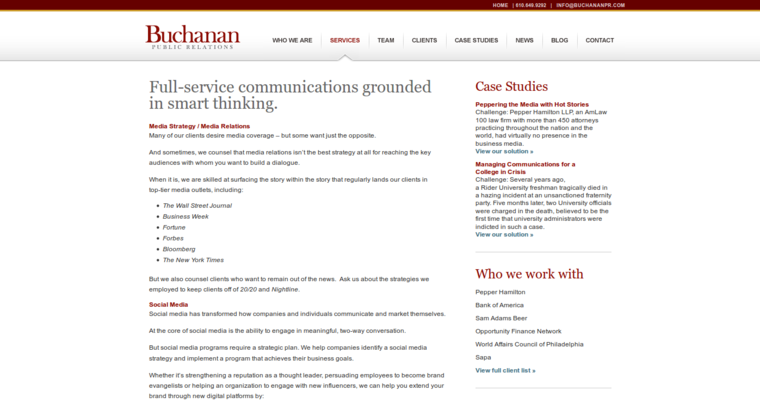 Buchanan PR can help any organization develop an effective communications and marketing plan.